If the 2012 Republican National Convention was all about getting at Obama and at each other's throats*, the 2012 Democratic National Convention reminded us from Day 1 the origin of the word "convention": literally "coming together". Everybody is behind President Barack Obama, and everybody shares the same positive vision of America as a land open to opportunities, not a land confiscated by opportunists. Everybody looks forward with a man who is proud of his record and doesn't try to hide it. The thing is that America's better off than when Obama took office except politically, and precisely because of the GOP's deliberate sabotage and systematic obstrusive tactics. RNC 2012 only highlighted internal wars, dogding key issues? DNC 2012 resolutely faced Afghanistan, war, and veteran issues, and Tammy Duckworth stood in front of Romney Duckforcover like a Brave in front of a Dodger. Stacey Lihn also stood in front of Romney like a brave for her daughter Zoe, who owes her life to Obamacare and may lose it if Mitt were elected. Obama cares for you, Zoe. For Romney you're just a burden, some distant statistics. And each time Republicans talk against Obamacare, they point out the fact that Obama cares, and that Romney doesn't, that he simply doesn't get it. Clint Eastwood couldn't find his words while talking to an empty chair? Ted K. slammed Mitt's Ks from his grave (Deval Patrick, Rommney's successor as Massachusetts Governor wrapped the Boston sandwich). I'm glad I switched to CNN for the DNC: I could watch Ted Strickland's awesome one man show. Towards the end, I quickly zapped to check that FoxNews censored him in order to protect "Romney the outsourcing pioneer"... and that they aired boring Kathleen Sebelius instead. Thanks to CNN, I could bump into past and future comets, from Mike Dukakis to Kamala Harris. I'm not always a fan of Rahm Emanuel, but I liked the way he summed-up Obama's score: General Motors alive, Bin Laden dead. 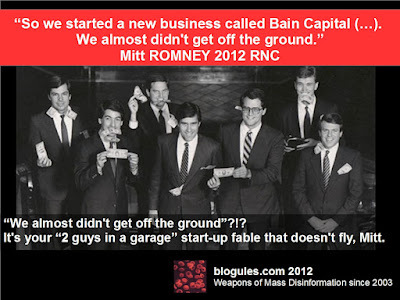 Romney prefers General Motors dead and Bain Capital alive. GOP tried to sell Romney-Obama as Reagan-Carter*, but Mitt's not even Reagan's empty chair, and Barack and Michelle's siblings (Maya Soetoro-Ng & Craig Robinson) are leagues over Billy Carter! Following Martin O'Malley's boring speach, Joaquin Castro woke up the audience, and Julian Castro rocked the house, nailing Mitt "flip-flop" Romney with the sweetest "actually..."
Michelle Obama clearly won the day. She's not just a great First Lady and Mom in Chief, but a wise politician and a fantastic leader. Where Ann Romney read a script and played a role*, Michelle Obama spoke her mind out, the most sincere and convincing way. She's the one who fights against obesity, not for fat profiteers. She's the one who stands for the 1% who matter: those defending the nation, not those dodging taxes and military duties. And she's the one who cleaned the White House after 2010, and put Obama back on tracks for 2012. Tonight, Michelle Obama connected, and smacked America's most powerful home run. Over the fence, beyond all divisions. The First Lady. Truth is: Obamas care, Romney scares. 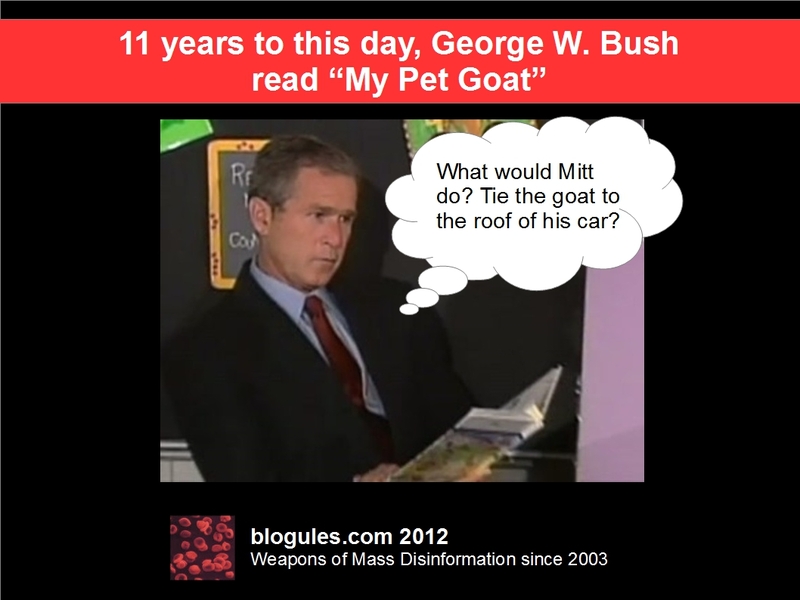 * see "Total Un-Recall: RNC 2012 In Denial, Welcome to Tampa, FL (Fantasy Land)", followed by "Lies, damned lies, and RNCs" and "Romney's big night? A bitter sleeping pill"